Purge. Out with the old, designate a day to get rid of all unused or worn out clothing. 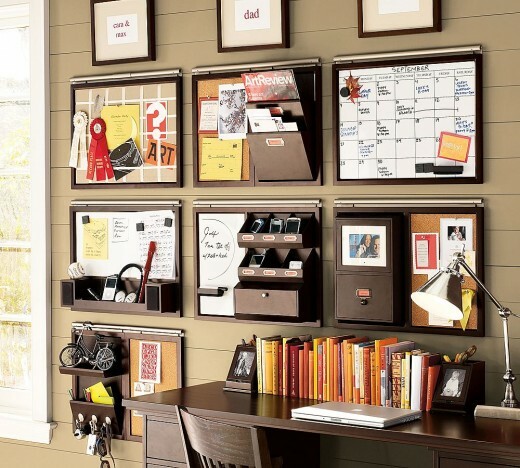 Get rid of all the paper clutter piled high on the table or desk. Get one file box for any projects or reports that you a want to keep, so they are easy to find when needed, but out of the way. Most people have an excess of stuff in general, bless someone in need, it feels good inside and out, and makes for a fresh start for the school year. Write it down. Make lists, and keep a planner of events with date, time, and location. Physically writing a task or list improves memory, plus it’s always a great feeling crossing something off of a list once complete. As a backup create a digital calendar linked directly to e–mail, most smart phones have a default calendar that allows you to add all your email accounts in one place. Add new appointment on the spot, with just a few taps, including customized reminders days or hours before the event. Meal Prep. It sounds much harder than it really is; sacrificing an hour or two on the weekend, can save hours of stress during the week. Even if it just means rinsing, slicing, and bagging fruits, vegetables, and meats. It is a simple way to save time, make healthier food choices, and save money! Routines. Make the mundane, fun! There are benefits to having a set place for keys, book bags, and outfits for the next day. Designate a place for each of these, and when looking for something, you won’t have to think twice or more than twice, to find it. A former roommate, used to put her keys on top of her lunch in the refrigerator, so she wouldn’t forget her lunch, and always knew where the keys were. An organized student is a successful student from elementary to collegiate, and furthermore, an organized parent is a much more sane parent!